Ever since I lost my last point-and-shoot to the murky depths of a moat in Long Beach I’ve been looking to get a new camera. 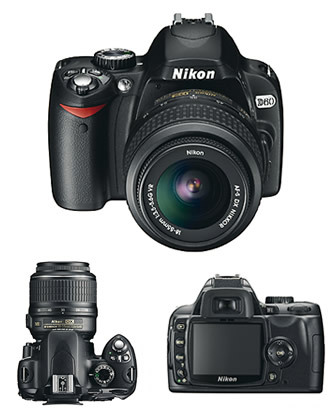 I bought someone a Nikon D40x as a gift before and really liked it so when I started look for cameras again I wanted to get something similar. This year Nikon released an updated version of the D40x, called the D60 and on Black Friday most big stores had them on sale, so I bought one. Next year I plan on traveling quite a bit, so this will be a good companion. This entry was posted in main and tagged camera, Digital camera, DSLR, Nikon D60 on December 1, 2008 by jotux.